This post is devoted to a style of painting known as Tonalism, that has had a large influence on my approach to making landscapes. The name refers to the use of a simple unifying color, or tone throughout a painting to create a sense of mood. Common subjects include twilight, sunsets, moonrises, nocturnes, and misty atmospheres. The tonalist style was uniquely American, beginning in the mid to late 19th century as an outgrowth of the French Barbizon school of traditional landscape painting. The period signifies the emergence of the United States on the world stage, a country that was still very young at the time and had not matured artistically. 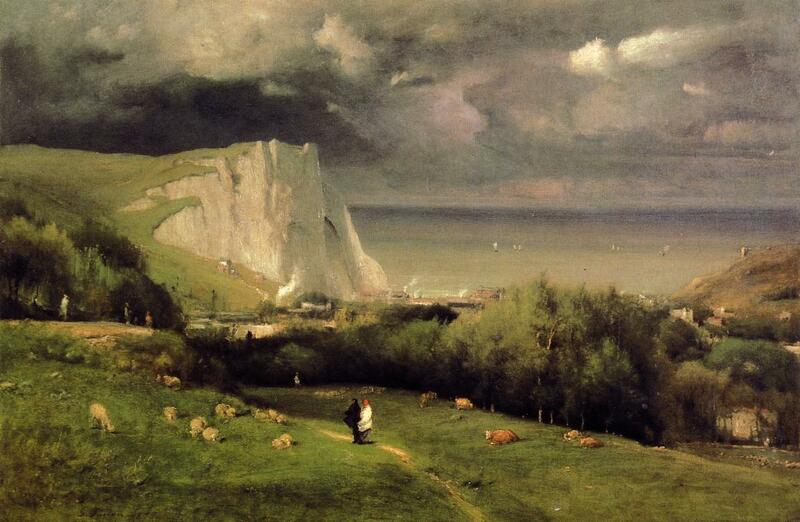 The style was short lived, lasting only a few decades, and was notably eclipsed in popularity by Impressionism. 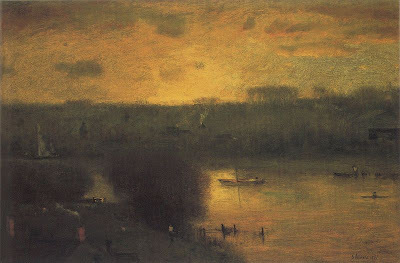 What has always appealed to me about tonalism are its soft and meditative qualities. Pictures made in the style have a subtle sense of mystery that draws in the viewer. 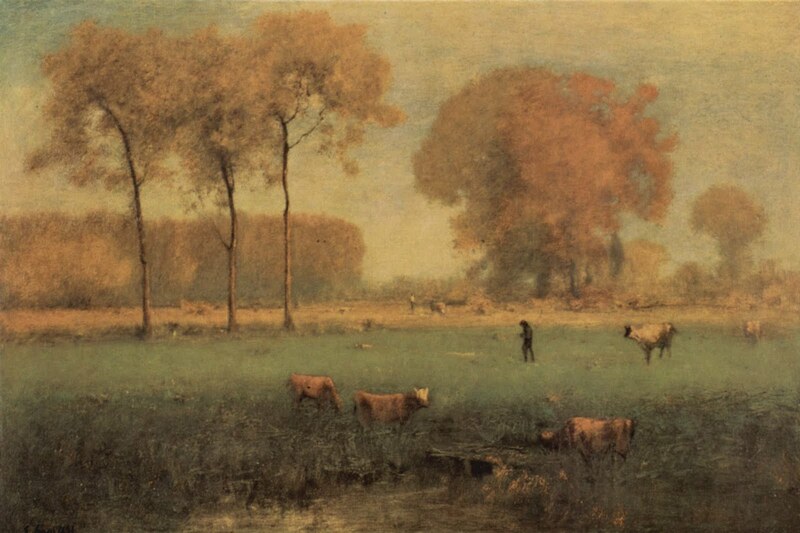 Probably one of the most famous painters associated with the style was George Inness. His early work was fairly tight, but as time went on, he began to develop a looser more atmospheric style, focused on conveying mood. He is one of the most expressive painters of sky that I have seen, particularly his ability to render the powerful fury of an approaching storm. The general softness of tonalism makes it well suited to oil painting. 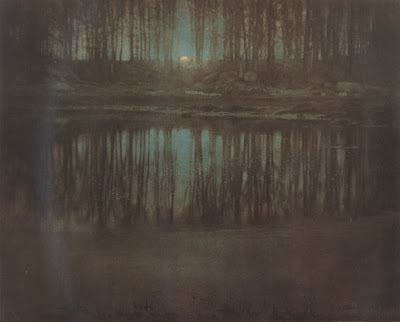 Only one artist in my experience, Edward Steichen, was able to capture the same qualities in other media. His career began as a oil painter, but he quickly moved on to photography. Steichen sought to merge the experience of both media together. By experimenting with technique and highly modifying his photos, he was able to create great tonal photographs. 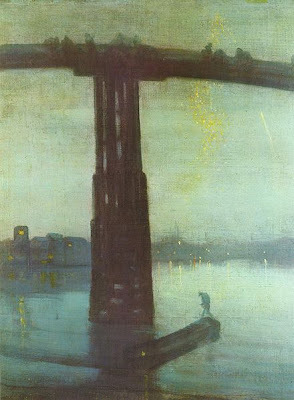 Another big name was James Abbot McNeill Whistler. Whistler was influenced in his mature years, by the minimalist art of Japanese prints. He created many innovative works, his most famous being a serious of Nocturnes. There are many other fine examples of this style of art, even some are contemporary. I plan is to incorporate elements of the style in my own work as well. Natural Lapis lazuli is a beautiful stone , but in raw form a mediocre pigment. As I covered in the first installment lapis lazuli is not homogeneous. The brilliant blue color comes from lazurite, the other constituent elements being impurities. 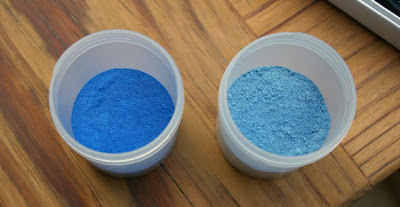 Only the very highest quality stones create a rich blue when crushed into a pigment. For centuries artists and craftsman had to make the best of the dull, ashy blue that was often a result. A comparison of different grades of Lapis Lazuli. Then sometime around the 13th century, alchemists developed methods to extract lazurite from its impurities. 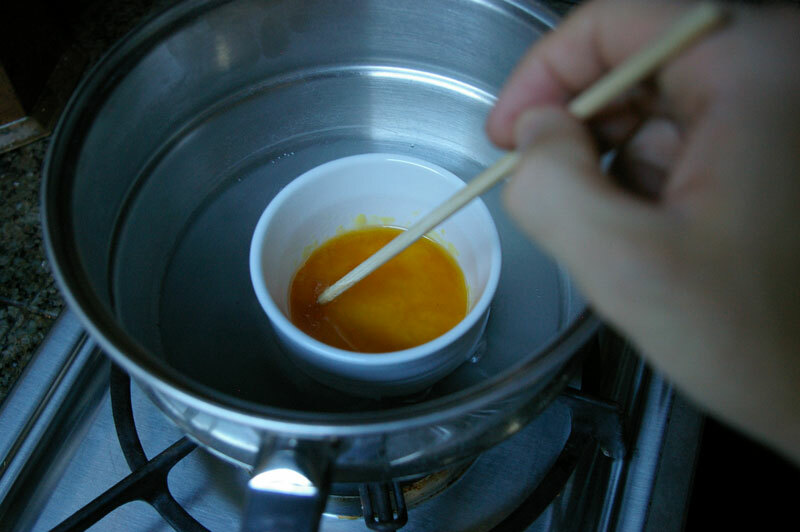 This involved adding the pigment into a melted pastiche of wax, resins, and linseed oil. The resulting blob of material was kneaded in a solution of water or weak lye. The pure pigment was released and could be collected. The work was time consuming and came at a huge expense. Many recipes along these lines still exist. Among these, the most detailed was written by the artist Cennino Cennini in the early 15th Century. His book, Il libro dell'arte, or The Craftsman's Handbook is a charming guide to how art was made during the Renaissance. 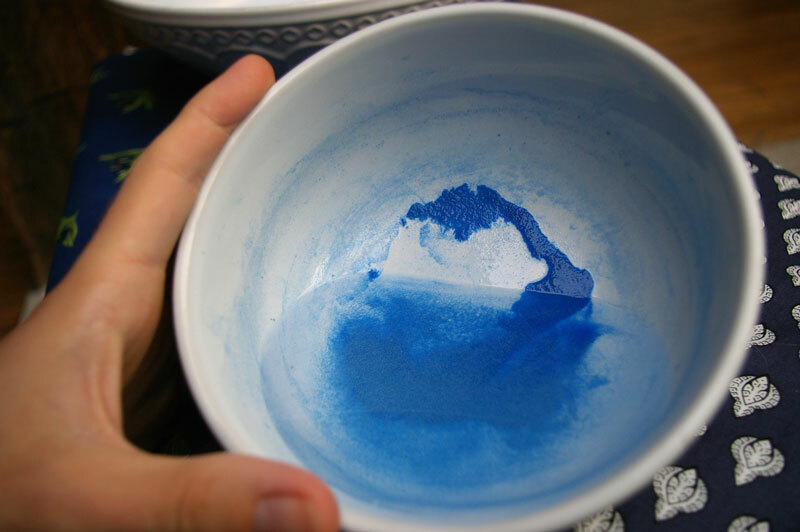 A whole chapter is devoted to pigments, including a very detailed recipe for lapis. 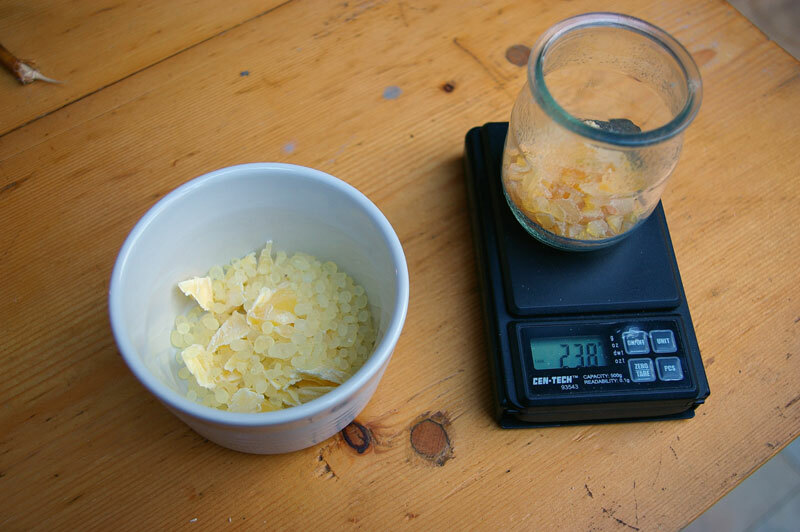 Cennini's describes a "plastic" to be made from beeswax, mastic, and pine resin. He calls for one pound of lapis powder to be used in the recipe. I had a lot less, so I adjusted each quantity accordingly. Once I weighed out each ingredient, they were melted together in a saucepan. I poured the plastic into a bowl, then added my lapis powder. I proceeded to knead the still liquid plastic until the lapis was evenly dispersed. Like kneading bread dough, one must cover ones hands with something so it does not stick. In this case Cennini says to use linseed oil, instead of flour. The plastic cooled quickly and began to form a soft, solid ball. I let the plastic sit for 3 days, per Cennini's instructions. Each day I took it out and kneaded it again. After this time had passed the plastic was placed in a bowl pull of warm dilute lye and kneaded again like bread. Because lye is caustic, I took precautions to protect myself. Cennini recommends using two round sticks while handling it in the lye. I used two chopsticks. 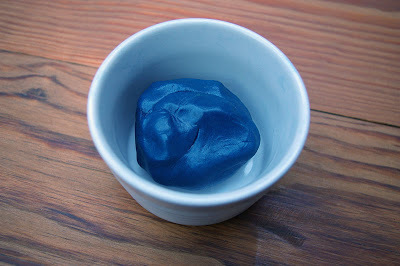 While kneading the plastic, the pure lazurite should gradually be released. 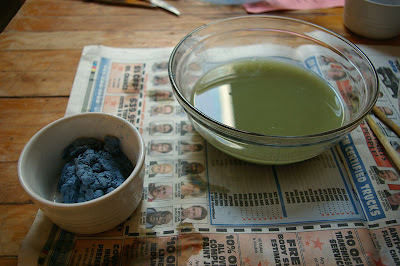 Once it has settled on the bottom, the plastic can be removed, and the lye poured off from the fresh pigment. The first extraction is the purest and finest. Cennini recommends using fresh lye to repeat the process again in a new bowl. This will continue until all of the blue has been extracted from the plastic, and it becomes worthless. I consider my attempt a partial success. While I was able to obtain some very fine pigment, the plastic began disintegrating in the lye almost immediately. I was not able to repeat the process many times, as Cennini recommends. A lot of small pieces of wax and resin ended up in the pigment, and will have to be removed somehow before it can be put to use. I will need to do more research before I try this method again with my finest lapis.